Module 0: PROJECT MANAGEMENT – working meetings of the team, project management and sub-contracting procedures; information and publicity; support activities. Module 1: PREVENTION – developing and printing of joint manual “Good practices for risk prevention in the Danube border area”; creation of joint working systems for risk reduction; joint training seminar and information campaign. Module 2: INTERVENTION – provision of new machinery and equipment to improve the activities related to the risk management. 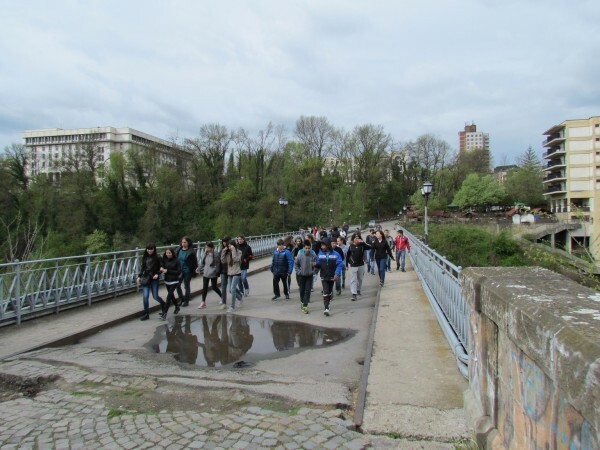 Module 5: RISK ASSESSMENT – assessment the water state in the Bulgarian-Romanian part of the Danube river and development measures for reduction the risks of it contamination. Brochure „Common solutions – common actions: road to success. RESULTS FROM IMPLEMENTATION OF STRATEGIC PROJECT „Joint Risk Monitoring during Emergencies in the Danube Area Border” MIS ETC Code 166 under Romania-Bulgaria Cross-Border Cooperation Programme 2007-2013 co-financed by the European Union through the European Regional Development Fund” – in English language. On the occasion of successful completion of the activities under Strategic project „Joint Risk Monitoring during Emergencies in the Danube Area Border“, reference number № 2s-2.2-1, MIS-ETC Code: 166 financed by the European Regional Development Fund and the State budgets of Republic of Bulgaria and Republic of Romania under the Romania-Bulgaria Cross-border Cooperation Programme 2007-2013 RIEW Veliko Tarnovo organises a workshop with the team from Romanian partner National Environmental Guard. The meeting will be held on 26th June 2015 at the Information centre at the inspectorate. The event will present the outcome from the cross-border cooperation built as well as the progress achieved in relation to the protection of our most valuable resource – the Danube river – joint procedures for communication and biodiversity protection, joint systems for monitoring and timely intervention, best practices for prevention and control of pollution of the components of environment, methodologies, guidebooks. The partners will discuss the opportunities for upgrading the project by means of new initiatives, supported by Programme INTERREG V-A Romania-Bulgaria for safer and greener cross-border area. 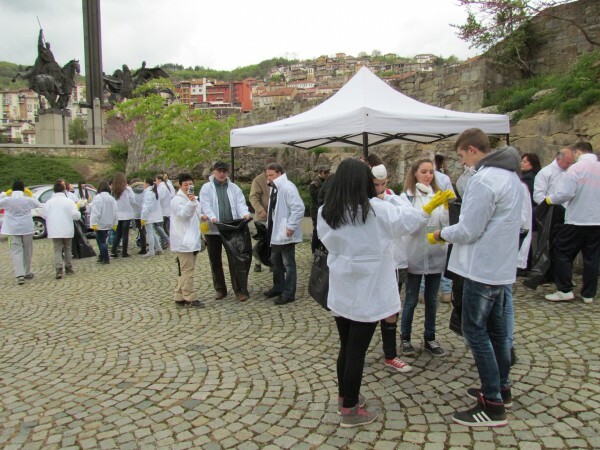 News conference with representatives of media will take place at 15 h.
Over 70 students from two schools, environmentalists and citizens from six institutions and organizations in Veliko Tarnovo took part in the environmental action „Let’s Clean the Yantra riverbanks“, dedicated to the World Earth Day – 22 April. 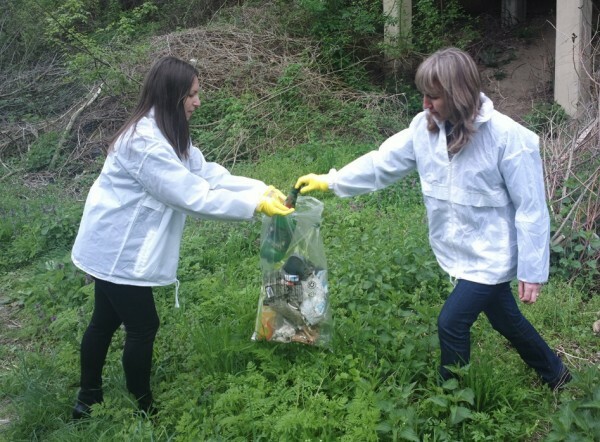 An example of committment and actions aiming at clean and healthy environment were given by participants from District Government of Veliko Tarnovo, River Basin Directorate in Pleven, Water Office of Veliko Tarnovo, Humanitarian high school „Sts. 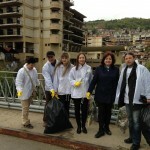 St Cyril and Methodius“, Vela Blagoeva High School, NGO „Partners for Sustainable Development“ as well as the co-organisers from the Regional Inspectorate for Environment and Waters in Veliko Tarnovo, Municipality of Veliko Tarnovo and National Environmental Guard of Romania (Chief Directorate) – Romania (NEG). 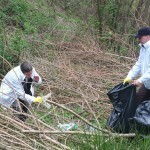 In the framework of the abovementioned event were collected 15 bags of waste, while the area cleaned up was 15 decares. 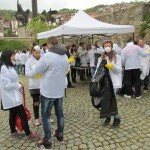 The largest quantity of waste was collected in the riverbank zone, less was the waste collected in the park areas of Asenevtzi and Boruna which is a clear indication of the ecological awareness of citizens and visitors and the maintenance efforts put in by the Municipality of Veliko Tarnovo. The Yantra river is the main stream running through the town, uniting people from the both banks of the river valley the way the Danube river unites the communities living on each side of the border. 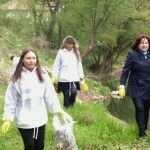 On the Earth Day were carried out yet another 6 ecological events in towns situated on rivers in Bulgarian-Romanian cross-border region. The partnership built formed a solid basis for joint planning and actions in the second period of our countries European Union membership aiming at a green and safe region of Veliko Tarnovo located in the Low Danube area. The action was organised in the framework of the strategic project „Joint Risk Monitoring during Emergencies in the Danube Area Border“, implemented under Crossborder Cooperation Programme Romania-Bulgaria 2007-2013. The quality of the components of the environment – air, water, rocks, soils, flora and fauna is a key to the health of people. There are numerous additional benefits from their enhancement, namely improvement of the conditions of the ecosystems and ecosystem services as well as better health protection and provision of food. Protection of the environment and life on Earth suggests shared responsibility of all parties concerned – people and non-governmental organizations as well as local and government authorites, and last but not leats international institutions and programmes. Let us take actions together and set yet another best examples in future! 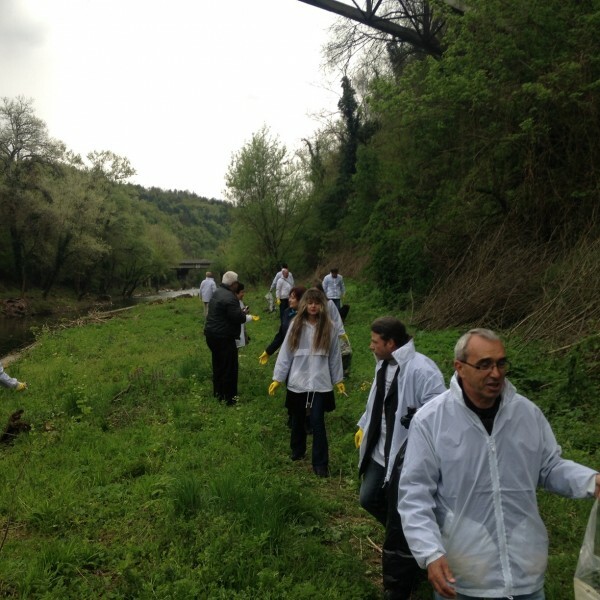 On 22nd April 2015 Regional Inspectorate for Environment and Waters in Veliko Tarnovo in partnership with National Environmental Guard (Chief Directorate) – Romania (NEG-Romania) and with the kind assistance of Municipality of Veliko Tarnovo organize an environmental action „Let’s Clean Up the Yantra river“. 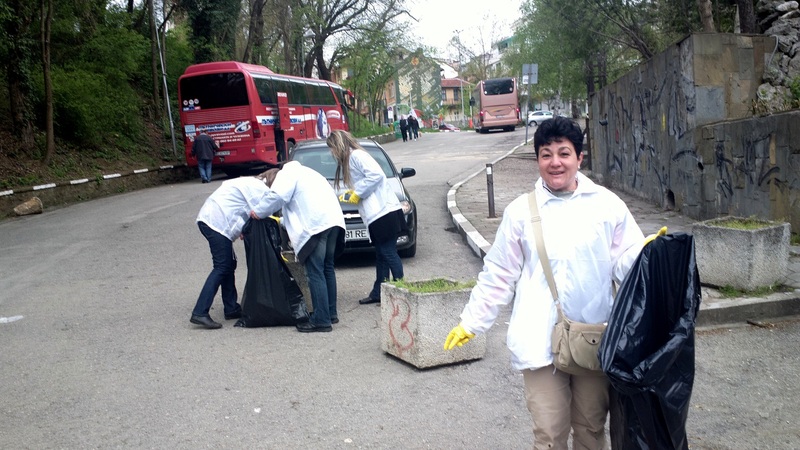 The action is a part of seven events for clean environment, organized by NEG Romania in the districts of Mehedinti, Dolj, Olt, Teleorman and Giurgiu in Romania and Veliko Tarnovo and Ruse all of which are situated in the cross-border area of the Danube river. 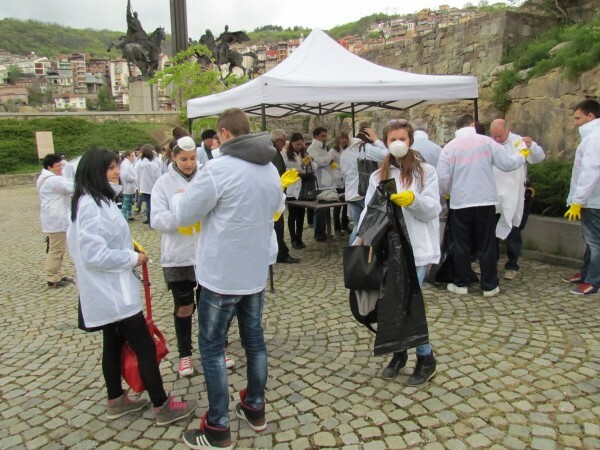 In the framework of the initiative in Veliko Tarnovo there will be a cleanup of accessible areas from the riverbank zone and the parks Boruna and Sveta Gora. 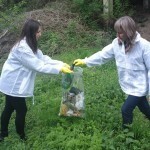 All volunteers will be given gloves and garbage bags. 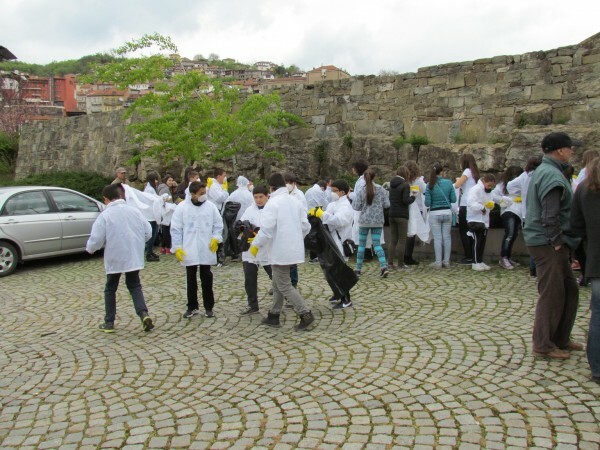 Let Us Contribute Together to a Clean and Healthy Environment in the Yantra River Valley and the Town of Veliko Tarnovo! 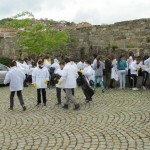 The following organisations were invited to take part in the action – Municipality of Veliko Tarnovo, District Government of Veliko Tarnovo, Regional Forestry Directorate of Veliko Tarnovo, Regional Inspectorate for Education to the Ministry of Education in Veliko Tarnovo, Regional Health Inspectorate in Veliko Tarnovo, River Basin Directorate in Pleven, Emilian Stanev High School, Humanitarian School Sts St. Cyril and Methodius, Vela Blagoeva High School. The initiative is held in the framework of the strategic project „Joint Risk Monitoring during Emergencies in the Danube Area Border“, implemented under Crossborder Cooperation Programme Romania-Bulgaria 2007-2013. For additional information contact Ms Milka Asenova, Information and Publicity Expert, tel. 0889 929 946. 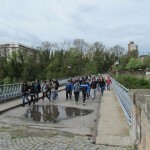 On 30 of October 2014 will be held Day of open doors under strategic project “Joint risk monitoring during emergencies in the Danube area border”, MIS-ETC Code: 166, funded by the European Regional Development Fund and the State Budget of the Republic of Bulgaria through the Romania – Bulgaria Cross-Border Cooperation Programme 2007-2013. 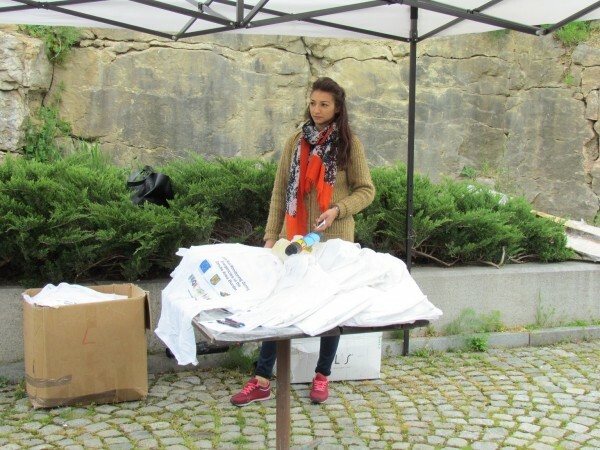 The day is dedicated to the best environmental practices for risk prevention in Bulgaria and Romania, and protection of the environment and waters in the border region of the Danube river, as well as the measures necessary for the next programming period. In the time between 10:00 to 16:00 pm. 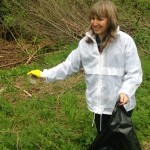 citizens who are interested in specific issues related to environmental practices to combat the risks and activities of the project will be able to speak with Kamelia Dzhanabetska – project manager for RIEW – Veliko Tarnovo and a member of the Joint Steering Committee project and to obtain information and materials from the team of RIEW – Veliko Tarnovo. 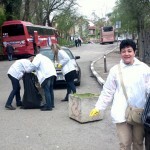 On the occasion of the most significant in terms of positive actions towards environmental protection – 5th June, RIEW in Veliko Tarnovo hosts a work meeting with representatives of the fourteen municipalities on the territory of Veliko Tarnovo and Gabrovo district during which it will outline and highlight the major points from the international information campaign. 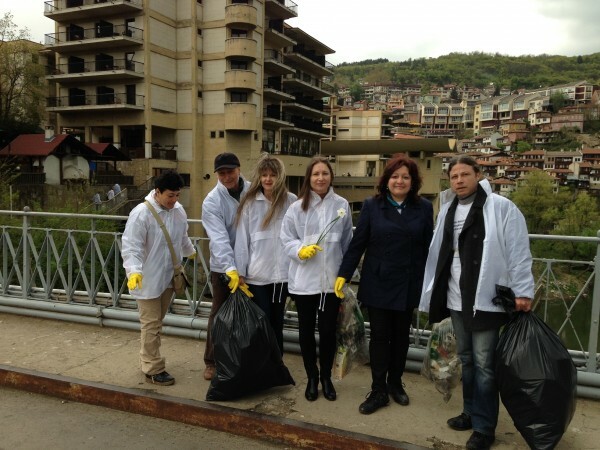 Attention will be drawn to the duties and responsibilites of municipalities in their role of local authorities in applying the environmental laws on both regional and local level. 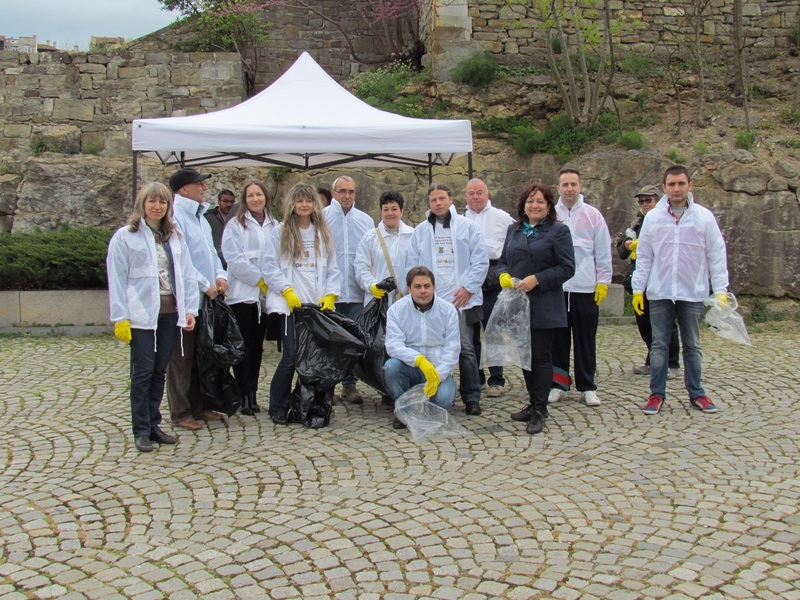 The meeting will take place on 5th June 2014 (Thursday) at 10.30 h in the Information Centre of RIEW in Veliko Tarnovo. A news conference will follow the event at 12.30 h where will be presented the goals and objectives of the International campaign as well as the results from the inspection activity carried out by RIEW Veliko Tarnovo in 2014. 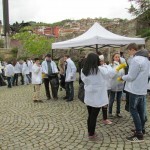 The participants in both events will obtain information and promotion materials in the framework of a topical information day part of the implementation of Strategic project „Joint Risk Monitoring during Emergencies in the Danube Area Border“, MIS ETC Code 166 in which RIEW Veliko Tarnovo is a partner from Bulgaria. World Environment Day is celebrated every year under the auspices of the United Nations Environment Programme. The celebration of this day is related to the encouragement of the individual awareness as well as determinate actions for environmental protection on global scale. The motto of the World Environment Day in 2014 is „Raise your voice, not the sea level“. The appeal this year is to acknowledge the fact that all of us face the same challenges and we are united by one common goal for sustainable life and well-being on our planet. The year 2014 has been announced by the United Nations as The International Year of Small Island Developing States. The commemoration of this year calls for people to raise their voices as a sign of solidarity with the citizens of the small island developing states since in result of the climate change impact and the rising ocean level they become vulnerable and forced to confront a large number of risks. RIEW Veliko Tarnovo hosts a joint training seminar entitled „Presentation, operation and promotion of a common guidance, manual and methodology. Use of specialized equipment for water and air monitoring in emergency situations and/or accidental pollutions of the environment.” under Strategic project „Joint Risk Monitoring during Emergencies in the Danube Area Border“, reference number № 2s-2.2-1, MIS-ETC Code: 166 financed by the European Regional development fund and the State budgets of Republic of Bulgaria and Republic of Romania under the Crossborder Cooperation Programme Romania-Bulgaria 2007-2013.